Jun 4, 2018 | Categories: Apartment Life, Central Texas, San Marcos, and San Marcos Events. 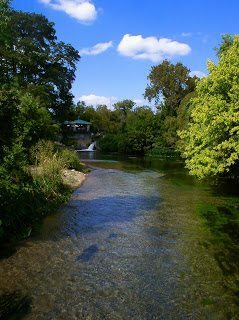 Tags: apartments, community, fun, recreation, river, san marcos, san marcos downtown, san marcos events, san marcos river, summer, summer events, summer in san marcos, summer in texas, summertime, texas state, Texas State University, texas summer, texas travel, and travel. Jun 6, 2017 | Categories: Apartment Entertaining, Apartment Life, Central Texas, and Renter Tips. Tags: amenity, apartment life, apartments, apartments in san marcos, entertaining, entertainment, fun, outdoor, summer, summer in san marcos, summer in texas, swimming, swimming pools, and things to do in san marcos texas. Summer Fun in San Marcos! Jul 6, 2016 | Categories: Central Texas, San Marcos, San Marcos Events, and Texas State. 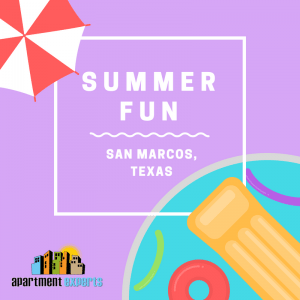 Tags: apartments in san marcos, events, float the river, hill country, san marcos, summer, summer in san marcos, Texas State University, travel, and travel in san marcos. May 12, 2016 | Categories: Uncategorized. Tags: apartment, apartment locator, apartments in san marcos, fun, places to eat in san marcos, san marco texas, san marcos, summer, summer in san marcos, and things to do.